CNNCNN host Don Lemon reacts during a segment on Wolf Blitzer’s ‘Situation Room’ on CNN. CNN host Don Lemon had some sharp words for Kanye West after the rapper’s visit to the White House on Thursday. Lemon held his head in dismay after watching a clip of Kanye’s remarks on CNN. Lemon mentioned that Kanye’s mother, Donda West, would be “embarrassed” by his recent actions. Kanye also referred to himself as a “mother f—er” and reiterated his full endorsement of Trump as a throng of TV news cameras and journalists watched. Oliver Contreras – Pool/Getty ImagesRapper Kanye West shows President Donald Trump his design for iPlane 1. The CNN host said he believes Kanye’s mother, Donda West, would be “embarrassed” by her son’s recent behaviour. Donda died in 2007 from coronary artery disease and complications after surgery. Kanye’s mother has been one of the most influential figures in his life. 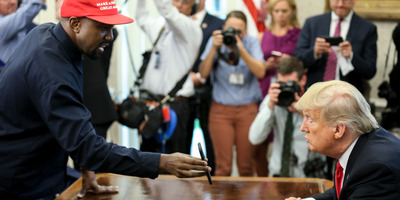 Following Kanye’s visit, other media personalities weighed in on the freewheeling press conference at the White House. 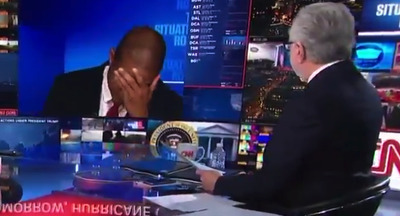 “If you think you’re going to get a thoughtful play-by-play and political analysis, you’re not, because that was an assault on our White House,” MSNBC host Stephanie Ruhle said. “I’m just stunned across the board,” Ruhle added.